More than your resume or even work experience, it’s how you fare during a job interview that decides whether you get the position you applied for. During the interview, it is critical that you give your prospective employer every reason to hire you and not give him reasons not to. Don’t come to the interview with a blank gun. Load yourself up by doing research on your prospective employer – the company status, its growth and direction and its mission and vision – and read the specific roles of the job you applied to. You need to be able to understand the employer, the requirements of the job and the background of the person who will be interviewing you. This way, you will be able to answer questions better and ask insightful questions (that can prove to be an advantage too, see #7). 2. Prepare for the common and tough interview questions. There are certain questions that are expected to get asked during interviews. You can prepare your responses to these types of questions but it’s best not to memorize anything. Focus on being concise and answering questions with specific situations you were able to apply your answer to. Rambling responses bore interviewers. Keep your answers short and to the point. Develop specific plans on how you will answer the questions, especially the tough ones. Don’t be tempted to badmouth your employer. Better to mention that the job didn’t offer as many challenges as you would like and emphasize you parted with your former employer amicably. How do you handle conflict with your colleagues? If you’ve rarely had conflicts, emphasize that. If you have encountered conflicts, stress that you would go with being the peacemaker. First impression weighs heavily during interviews. Make sure to dress for success – go for the most professional appearance you can come up with. Be conscious about your personal hygiene – brush your teeth or use mouthwash and try not to smoke or eat just before the interview. When you meet your interviewer, make eye contact, smile and give a firm handshake. Greet him properly but warmly. If you arrive on time for the interview, you are already late. There is no acceptable excuse for arriving late for a scheduled interview except for extreme conditions like natural disasters. The acceptable time would be to arrive 15 minutes before your scheduled interview. This will also be an advantage for you. You can observe the work environment, calm your nerves, settle in the ‘zone’ and mentally prepare for the interview. 5. Don’t forget about body language. What you answer is important, but remember that poor body language can be a deterrent to getting you hired. Slouching, looking at other places than the interviewer, mannerisms (playing with a pen, jiggling your knees, playing with your hair) and fidgeting in your chair are examples of bad body language. Maintain eye contact. Smile. Maintain good body posture and actively listen by reacting to what your interviewer says by nodding, facial expressions, etc. Eye contact gives off two key qualities employers look for in candidates: high self-esteem and confidence. 6. Display your skills with concrete examples. Don’t just give your qualities or abilities. Show your interviewer proof of that quality. Storytelling is a great way to show off without coming off as boasting. Narrate specific situations or experiences that show your abilities or qualities. Don’t just say you are diligent and hardworking. Illustrate how diligent you are by providing examples of how you show off that trait. 7. Don’t forget to ask insightful questions. 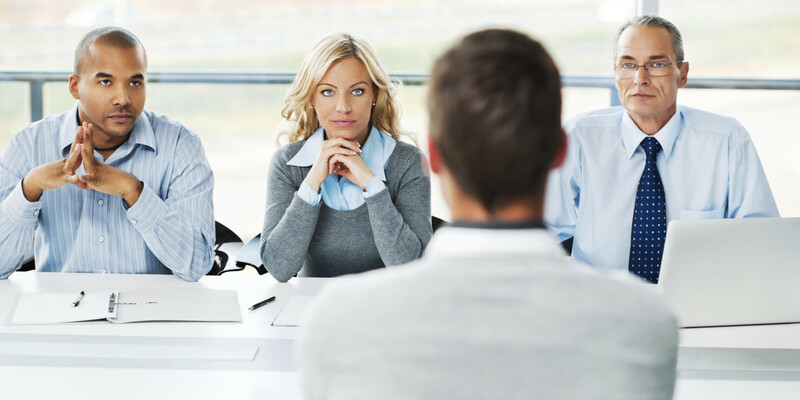 Studies have shown that employers assess an applicant’s genuine interest in the job by whether or not the interviewee asks questions. Even if the employer was thorough in discussing about job responsibilities and expectations, prepare some questions to ask when you are prompted to. No matter how much you prepare, authenticity and candidness are values employers value. Your goal should always be authenticity. Respond truthfully to questions. If you don’t know a certain procedure or skill, you can say “I’ve heard about it but haven’t had the chance to try it out myself.” Display eagerness to learn something that is required for the position. Maintain a conversational tone that is candid and confident but with concise and quality filled responses. 9. Don’t forget the interaction outside the interview proper. An HR personnel has this tip: An interview is the formal ways of assessing a candidate’s suitability for a position but the assessment doesn’t stop there. Every interaction with any employee in the company you are applying for paints a bigger picture of their impression – so be polite and friendly with whomever you meet along the recruitment process. 10. Don’t forget to follow-up. Even if you feel you failed the interview, don’t let it be the last time they hear from you. Follow-up with a call, a personal thank-you note or send an e-mail. It will help them remember you, in case you would want to reapply. Ace your interview! Good luck! Are you an IT graduate? Good news! AIM Corporate Solutions, Inc. has a number of job openings, check out the listing here, you might just be what we’re looking for!